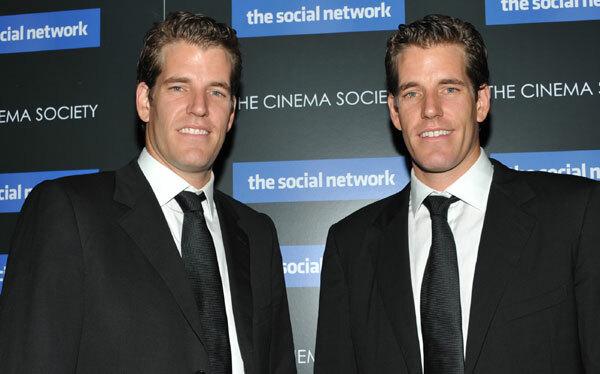 The Winklevoss twins of Facebook fame have been dabbling in Bitcoin-related ventures the past few years with not much progress. Perhaps venturing into the first regulated Bitcoin exchange for customers in the US, will change their luck. Gemini will allow users to buy and sell Bitcoins for US Dollars. It is set to begin operations in the next couple of months. 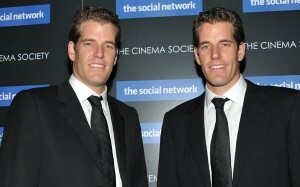 Cameron and Tyler Winklevoss have attracted engineers from big-name hedge funds and based the company in New York City. It currently staffs just over a dozen employees. Bitcoin has been under attack in the past year in numerous cyber attacks. Notable exchanges like Mt. Gox and Bitstamp have taken a heavy blow. Gemini says that it will ensure safety and provide a secure Bitcoin exchange for individuals and businesses. It will fully comply with cryptocurrency and consumer protection laws and regulations, by working closely with federal and state governments. To help ensure that money belonging users stays within the US, Gemini has partnered with a New York State- chartered bank. It is eligible for FDIC insurance. The year of 2013 saw Bitcoin’s peak value of $1200, but has since dropped to $230. Bitcoin, once the world’s most promising virtual currency, has dropped in value to below $250. The currency appears to be in free fall and has lost 26 percent of its value alone in the last 10 days. CoinDesk noted on Wednesday, that the price had plunged from $267 in April 2013 to $224. Sell orders of the currency have dominated global currency exchanges and traders eager to leave the investment behind. Major exchange Bitstamp was hacked in January and 19,000 Bitcoins stolen worth $5 million. The major hack suspended trading activity for a week and analysts believe it responsible for traders steering well away from the virtual currency. 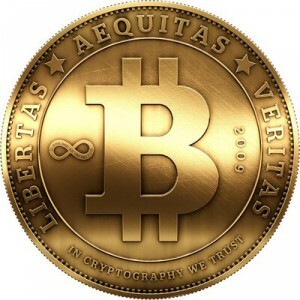 Computer solving complex algorithms generate Bitcoins. 25 coins are created and pushed into the virtual economy every time a computer solves a problem. The problems get more difficult to solve requiring higher computing power as the supply of coins increase. Th cost of running warehouses of computers solving algorithms is extremely high and is paying a heavy toll on Bitcoin mining businesses, which require fiat cash to pay bills and loans. They have had to sell large amounts of Bitcoins to keep business afloat. The price could be weighing down due to the relase of these business-saving coins. “[This is] the result of cloud mining costs exceeding mining profit,” CEX.io chief information officer Jeffrey Smith wrote in a blog post announcing the suspension yesterday. CEX.io is a large Bitcoin mining company. They have had to stop Bitcoin production temporarily as the price is too low. Another Bitcoin mining company CoinTerra, has $5.4 million in unpaid fees to a data centre provider. It is being sued by the provider. Just a little over a year ago in 2013 Bitcoin peaked at a value of $1,130. In 2014, the digital currency plunged by more than 56 percent. This drastic drop made Bitcoin named as the worst performing currency in the world in 2014, said Bloomberg. “The digital currency peaked at a value of $1,130 just over a year ago. Its plunge of more than 56 percent in 2014 makes it the world’s worst performing currency this year,” Bloomberg editorial board member Mark Gilbert said. In second place of the worst performing currency in the world came the Ukranian hryvnia. Ukraine will need an extra $15 billion to recover from its economic crisis, in addition to the IMF’s bailout of $17 billion, said Gilbert. The Russian Ruble was the world’s third worst performing currency in 2014. Gilbert argues that the reason for its trouble is linked to sanctions imposed on Russia by the West over its alleged involvement with the Ukrainian crisis. 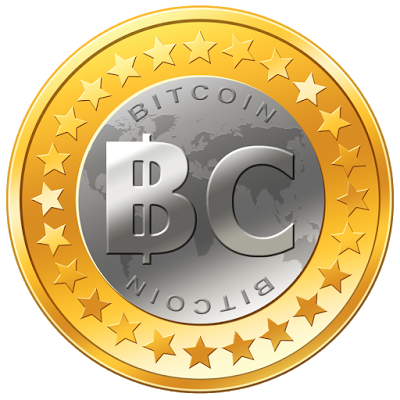 Bitcoin was introduced in 2009 as decentralized digital currency. It was proposed by Satoshi Nakamoto. The purpose of its creation was to be independent of any governement and easily transferred elctronically with low transaction costs. According to Bitcoin the value of 1 Bitcoin is valued at about $326. China, Russia and India are among the number of countries which have restricted Bitcoin transactions. Last week, Microsoft Corporation is now allowing its U.S. customers to use bitcoin currency to purchase apps, games, and other digital content. Microsoft made no official announcement of their decision; however, a new page was added to the tech industry giant’s customer support site detailing how its customers can deposit Bitcoin virtual currency into their Microsoft accounts. This means that Bitcoin is now offered as an online payment option for digital games and videos on Xbox game consoles, for apps, services, and other digital content on Windows phones, and even for Microsoft software. Bitcoin payments can only be used in fixed amounts and can only be made by customers who live in the U.S. It cannot be used as a direct payment method for Microsoft products and/or services, only as a Microsoft account deposit. All Bitcoin transactions are irreversible. Microsoft is not the first nor is it the only major company to accept Bitcoin currency. Its just another addition to a growing list of companies that are currently accepting Bitcoin payments. As of December 1st of this year, Paypal, Dell, Expedia, Newegg, Amazon.com, Target, Zappos Whole Foods Market, Zynga , Bloomberg and a large number of other widely-known major corporations are all acceptors of Bitcoin payments. Microsoft is however the largest tech company to begin accepting Bitcoin, beating out both Dell and Newegg. The use of Bitcoin and other digital currencies, even though not mainstream yet, is growing constantly. The “mining” process for the Bitcoin virtual cash is based on solving complex mathematical algorithms. The system is designed for a limited number of Bitcoins can be discovered, which limits them to a finite quantity. In December 2013, one Bitcoin was worth over $1100, its highest peak ever. Its value has steadily decreased since then, and as of December 10th of this year, each one is worth about $357. All Bitcoin transactions are recorded in a publicly-accessible general ledger. Mozilla, the free software community behind the immensely popular internet browser Firefox, is now accepting Bitcoin donations towards the Mozilla Foundation. The non-profit foundation looks toward protecting the open web and supporting open-source developments in its broad community. Donations will be accepted through Coinbase, the Californian-based Bitcoin wallet service provider, as announced on its blog. As per its policies, Coinbase will not apply any charges for donation processes. This announcement from Mozilla came shortly after a post on the Bitcoin usersub on Reddit, asking why the Mozilla Foundation does not accept donations using Bitcoins. The Mozilla vice president Geoffrey MacDougall responded by posting a link to the donation page, saying that the much-awaited move was a result of lengthy internal processes on security and compliance. Other non-profit organisations supporting Open-Sourceness and free Web-based initiatives, like the Wikimedia foundation, have turned to accepting Bitcoin donations in recent months. Mozilla now joins ranks with them accepting digital currency in the facilitation of donations and removing costs linked to legacy payment methods. Taking the cold storage of a Bitcoin wallet a step further, the Dutch Bitcoin entrepreneur and founder of Mr. Bitcoin, Martijn Wismeijer implanted one NFC chip into each his hands. The idea behind a Bitcoin wallet cold storage is keeping your Bitcoins offline, on an encrypted device securing it further against theft. This is usually done on an USB-stick or even a piece of paper, but not in Wismeijer‘s case. He is using an “RFC Type 2 compliant NTAG216 RFI chipset” which is embedded in a tiny glass capsule, 2 by 12 millimeters, and carries 880 bytes of data, which is more than sufficient for a cold storage wallet, injected into the tissue in his hand between the thumb and the index finger. “I use it for cold storage, but it’s not cold because it’s 37 degrees Celsius inside my body!” Wismeijer jokingly told ArsTechnica. The NFC chip was bought with a pre-loaded syringe from DangerousThings.com and injected at a piercing studio after his own doctor understandably denied his request of inserting it into his body. He commented that while it hurts more than your regular injection, there is no fear of infection as the hole from the injection has healed, but the chip is still noticeable in the tissue. Even when he scans them he feels no difference, as the chip themselves does not generate any heat. The reason for doing the deed was, according to Wismeijer, to serve his company, Mr Bitcoin, which is setting up their own Bitcoin ATMs in the Netherlands and Belgium. Where his private key, with the ones from other colleagues, is used to unlock the company’s Bitcoin wallet when they need to transfer funds in and out of the cold storage. To unlock they need to scan the chip with either a USB dongle or an NFC enabled phone, which is part of a larger secret key combined together using the Shamir’s Shared Secret. Eventually Wismeijer envisions using his NFC chips for such things as locking and unlocking his NFC-enabled doors at home.